From the 11th till the 18th of May 2018, veterinarians can combine pleasure with collecting points for their schooling, on a one week cruise in the Mediterranean sea, organized by The Pet Channel in collaboration with Vivactis. 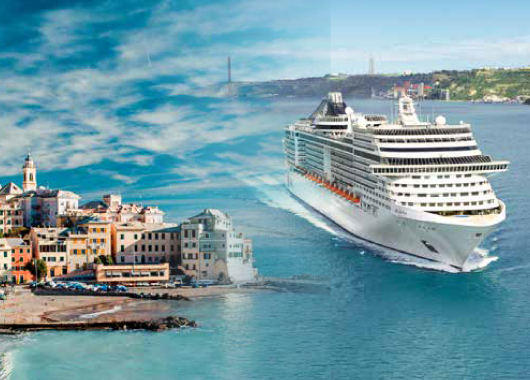 The cruise will depart from Marseille on the 11th of May and will anchor in Genoa, Civitavecchia, Palermo, Cagliari , Palma de Majorca, Valencia and will return to Marseille on the 18th of May. Each day, a different speaker will hold a lecture that will last not two hours and the remaining of the day, the veterinarians are free to enjoy the boat and the excursions. The lectures are officially recognized and count for official credit points for schooling. A minimum of 12 and maximum of 24 points will be accredited during the course of the cruise. Rates start as of €599 per person.